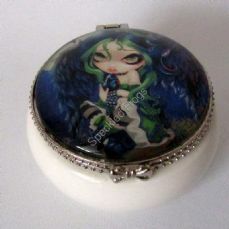 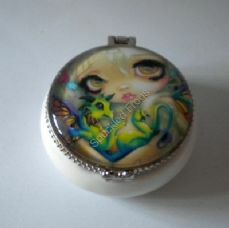 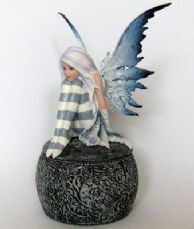 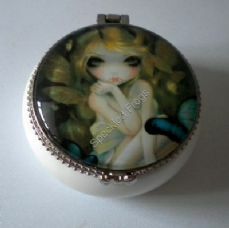 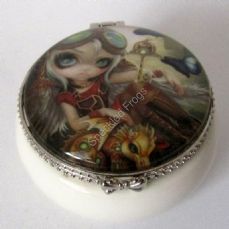 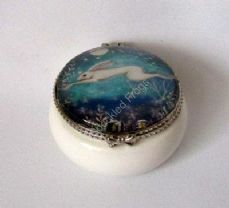 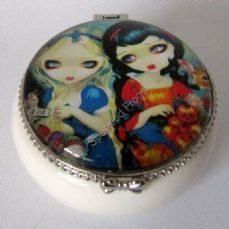 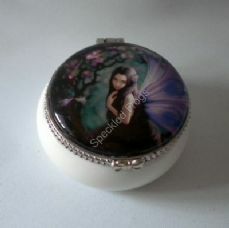 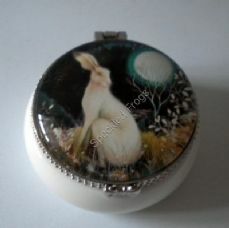 Lily, Pretty little white ceramic trinket boxes, design by Jasmine Becket-Griffith. 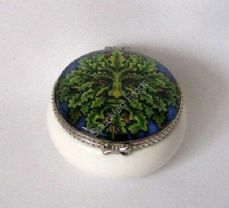 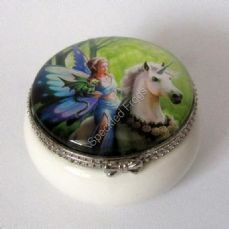 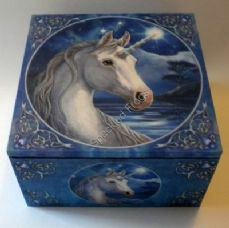 Realm of Tranquility trinket box. 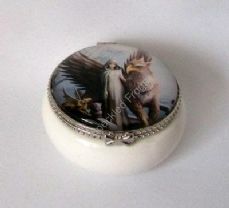 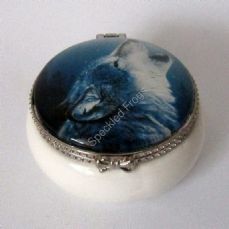 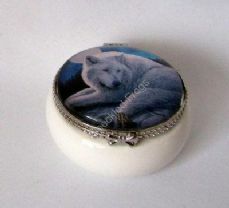 Guardian of the North trinket box. 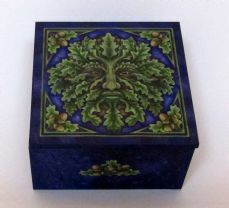 Spirit of the Oak mirror box. 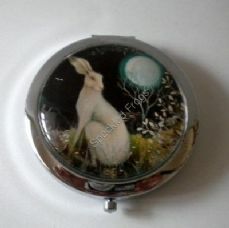 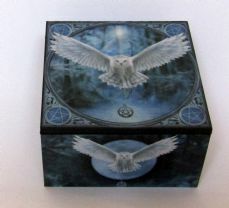 Sacred One Mirror Box.Featuring artwork from Lisa Parker. 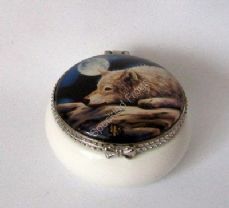 Small Oblong Jewellery Box with cork carving on lid.